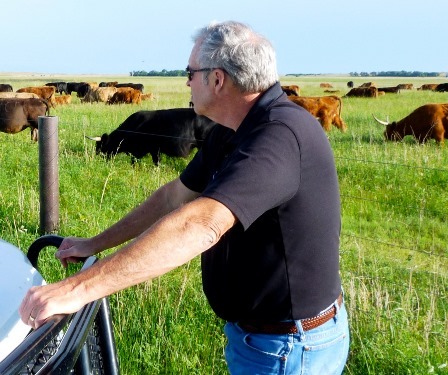 Full-time livestock consultant Mike Wichman, of Atkinson, NE, is the founder and owner of Wick’s Livestock Nutrition. He possesses a rare set of principles, making anyone who meets him likely to utter “Wow, they don’t make ‘em like this anymore!”. Which really is true. Several things set him apart from “business as normal”. His products have quality and value but yet come at a fair price. This is because he fights to keep his overhead to a minimum. He has strictly maintained a scale that requires no additional employees. This means you are not paying for huge payrolls or executive salaries. Even his budget for advertising and marketing is close to zero. What you are paying for is just what is found inside his mineral bags, and barrels and totes of vinegar. As it should be. Today, we discuss how to increase feed efficiency by up to 25%, a revolution that Mike and his friend and co-worker Dr. Will Winter have discovered through their consulting together. Secondly, he has over 35 years of experience as a hands-on livestock nutritionist and mineral formulator. He is also a former dairyman himself and therefore knows about the necessity of raising healthy and profitable livestock. 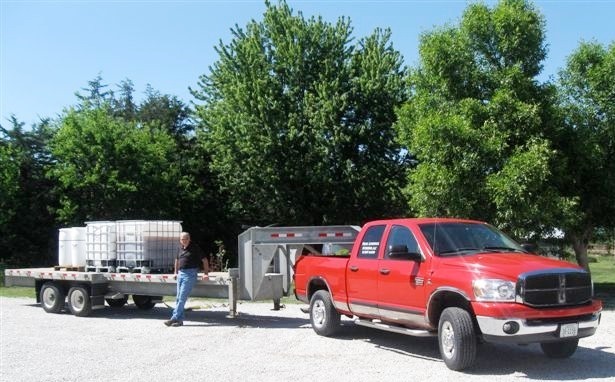 He’s not sitting in a remote laboratory or fancy office somewhere, but rather, his “office” is in his pickup truck as he goes from farm to farm, making sure that the needs of the livestock producers are met and that all his products are working as promised. Even though the majority of his formulations have been in place and working well for decades, he continually tweaks, invents and improves recipes. For example, he is in the process of removing any ingredients made in China, he is replacing any GMO-sourced ingredient, as well as adding newly-discovered synergists, activators or ingredients in order to make the products work optimally. If you have a unique problem or deficiency, he will design a mineral and vitamin program specific for you and your farm or ranch. He stands behind his products in the “old-fashioned” tradition, meaning he always makes sure that they work for you, whether you are a novice livestock owner, or, a seasoned hand who is newly exploring the amazing benefits of advanced nutritional therapy. His philosophy is that if we dig deep enough, all disease can be traced back to nutritional deficiencies and that this is the place where all true herd health begins. If you want to learn how to increase your feed efficiency, you need to hear this interview!